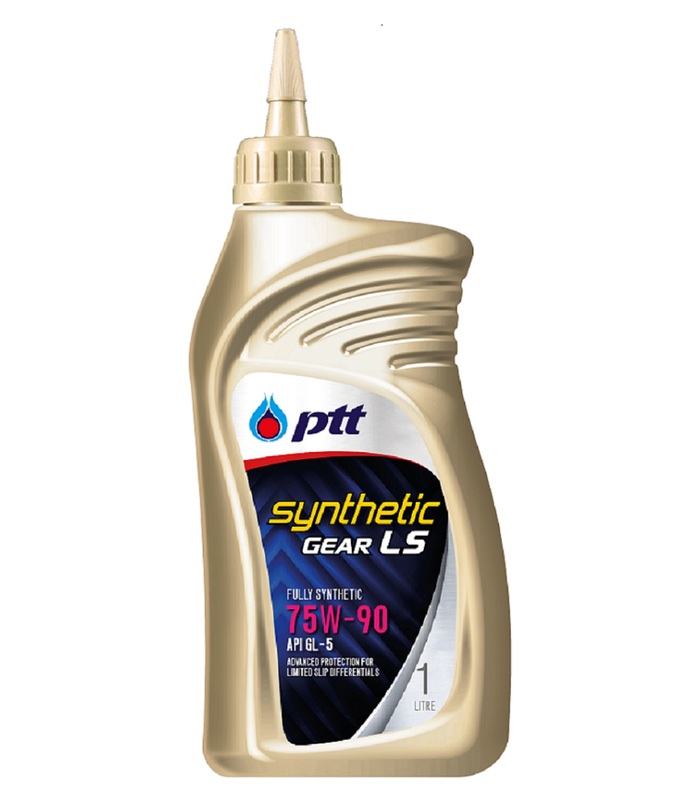 [PTT SYNTHETIC GEAR LS] น้ำมันเกียร์งานหนักคุณภาพสูงสุดเกรดสังเคราะห์ 100% สำหรับเฟืองท้ายแบบป้องกันล้อหมุนฟรี (Limited-Slip Differential, LSD) ของรถยนต์ขับเคลื่อน 4 ล้อ (4WD) สมรรถนะสูงเช่น รถยนต์อเนกประสงค์ (SUVs) รถปิกอัพ เป็นต้น [PTT SYNTHETIC GEAR LS] premium fully synthetic gear oil designed for limited-slip differential (LSD) in high performance 4-wheel drive (4WD) and off-road vehicles, such as SUVs, pick-up trucks etc. • Designed for high performance LSD of 4WD and off-road vehicles, such as SUVs, pick-up trucks etc. • Recommend for all drivetrain gear oil 4WD such as manual transmission, transfer case, center differential and axles requiring SAE 75W-90 requiring GL-5 quality level of gear oil. • Suitable for used in manual transmission of commercial vehicles requiring SAE 75W-90 requiring GL-5 quality level of gear oil. • Provides exceptional wear protection under severe operating condition. • Offers excellent lubrication in all climate even in low temperature. • Delivers outstanding performance on clutch system in LSD to prevent drive wheel slippage. • Enhances vehicle handling on a slippery road. • Provides superior thermal and oxidation stability, extended service capability.